With L'Express.fr, each of the 27 EU member countries will be presented in the form of information sheets on the site L'Express.fr. To herald the start of the partnership between the Foundation and L'Express.fr, the chairman of the Robert Schuman Foundation, Jean-Dominique Giuliani has written an article on L'Express.fr entitled "Il faut enfin s'extraire des débats nationaux". To conclude the Foundation's partnership with l'Express.fr, the Chairman of the Robert Schuman Foundation, Jean-Dominique Giuliani answered questions put by l'Express internet users on the results of the French Presidency of the Council of the European Union. Who are the 27 ? 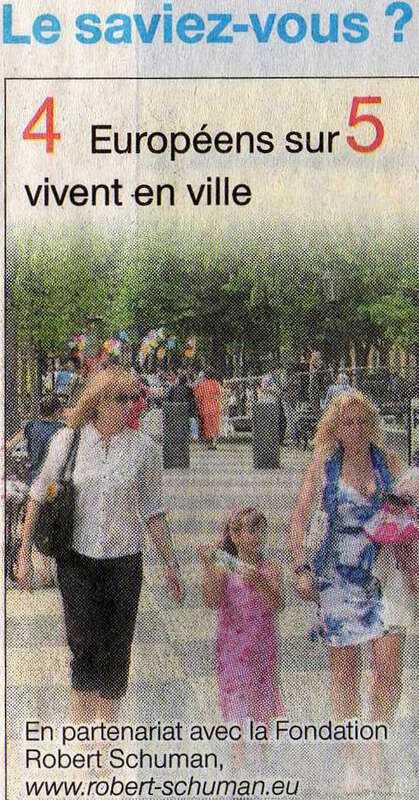 Every Monday from September 1st 2008 to 29th June 2009 the daily Ouest France will publish a figure about Europe. 29/09/2008 Europeans and mobile phone. Every Thursday the daily, Le Figaro is publishing on its page devoted to the European elections a column by the Chairman of the Foundation, Jean-Dominique Giuliani which focuses on the issues at stake in the European election. 30/04/2009 European Parliament: a major forum or a multinational democracy? Every Tuesday Figaro.fr publishes a column by the Foundation Chairman Jean-Dominique Giuliani on the issues at stake in the European election. 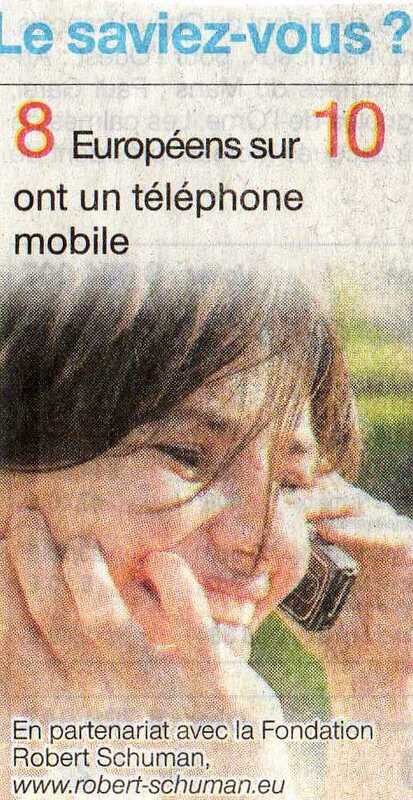 With regard to specific issues Figaro.fr has put a video on-line. 21/04/2009 Leftwing Parliament? Rightwing Parliament? 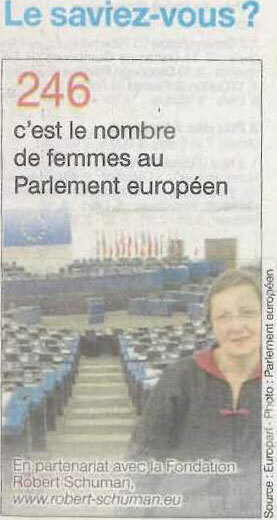 5/05/2009 Who influences the European Parliament? 12/05/2009 European elections: Pre-legislative campaign in Germany? With Autoroute FM (107.7), a presentation on Europe is broadcast every week between 3rd July and 13th September 2008 on Thursdays, Fridays and Saturdays, five times per day. This presentation of Nicolas Fréret (“L'Europe en clair”/ “Europe clarified”) is delivered by an expert from the Robert Schuman Foundation. 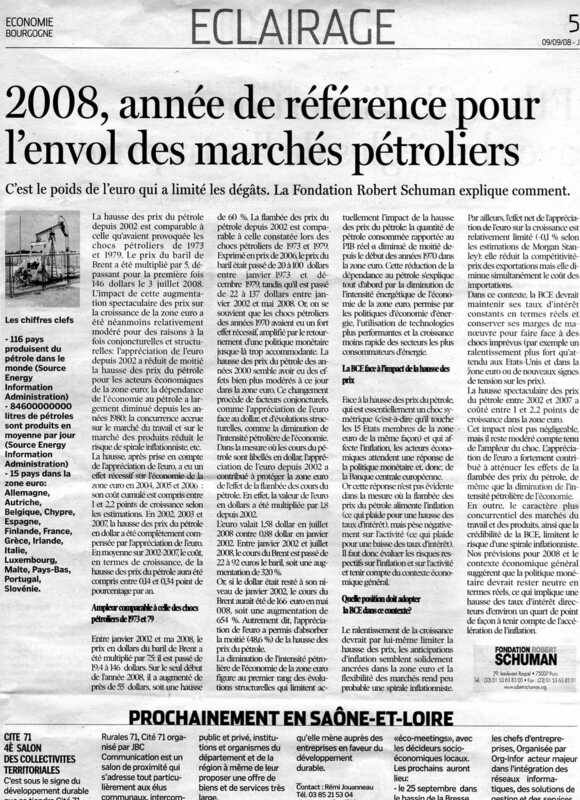 Every Tuesday from 2nd September to 30th December 2008 the Economie supplement in the Journal de Saône-et-Loire will dedicate a whole page to an economic analysis written by experts from the Foundation. La chaîne d'information internationale Euronews, en partenariat avec la Fondation Robert Schuman, diffuse "Europinion", une émission mensuelle d'analyse de l'opinion publique européenne, sur la base de sondages Eurobaromètre, présentés par un Grand témoin. January 2007 With EU membership at 27, how strong is enlargement fatigue? November 2006 Europe/Etats-Unis: valeurs communes ou divorce culturel ? June 2005 L'Europe s'apprend dès l'école. 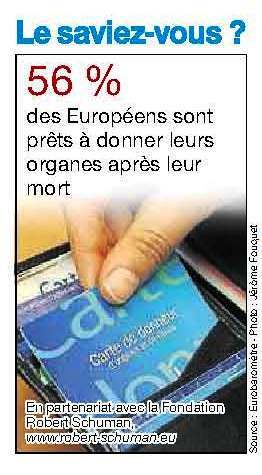 De février 2003 à juillet 2004, LCI, en partenariat avec la Fondation Robert Schuman, diffusait "Le Journal des Européens", une émission bi-mensuelle. A chaque rendez-vous, des reportages, l’interview de hauts responsables européens et l’étude comparée des opinions publiques au travers de sondages. 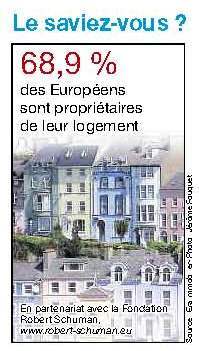 "Le Journal des Européens" car les Français sont européens et les Européens regardent la France. 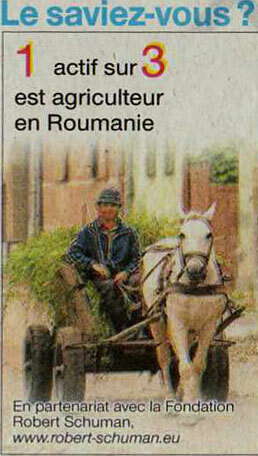 February 2003 La vieille Europe ?